This classic Shaw Brothers movie, directed by Chang Cheh and made in 1981 has been released in the USA by Tokyo Shock and in the UK by 88 Films and is the best quality Blu ray I have seen of an old school kung fu movie so far. 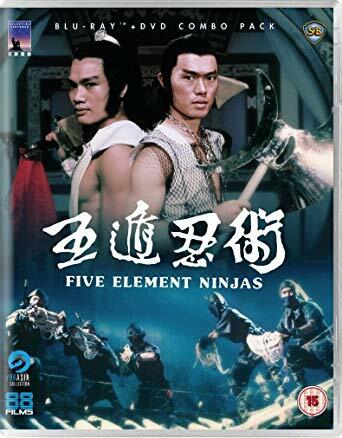 Five Element Ninjas starts with a bitter rivalry between two Chinese martial arts schools which comes to a head when one side hires a Japanese samurai to challenge the other. The samurai loses the ensuing duel, however, and commits seppuku (ritual suicide). When the Japanese Ninja clan hear of this they dispatch the best warriors and challenge the school to a set of duels. When the Japanese martial artists are easily defeated they turn their attention to the school itself and massacre everyone including the leader. One man escapes and goes back to his old teacher who trains him in the secret arts of Ninjitsu. Armed with his three new comrades and new found skills, they set out to beat the Five Element Ninjas at their own game. Director Chang Cheh had always been the top director at Shaws starting with the first million dollar box office winner One-Armed Swordsman through to the cult Five Venoms in the mid 70’s, Five Element Ninjas was probably his last truly great movie. The violence is bloody and gory but fits the tone of the film perfectly. When the Ninja’s attack the compound, silence is used brilliantly, upping up the tension of the attack. The brutal Ninja’s are also great fun to watch. There’s the Copper Hat Ninja’s, who blind their foe with their reflective shields, fire Ninja’s who employ smoke to stun their enemy, wood assassins disguise themselves as trees; and earth soldiers hide underground, launching horrifying spear attacks from below, leaving one poor guy battling away with his intestines hanging out below! Probably the ultimate Shaw Brothers comic book movie if you wish to call it that, fantastic over the top fight scenes, brilliantly choreographed, with a bloody revenge theme mixed in, this has it all for Kung fu movie fans. The Blu ray released by both Tokyo Shock and 88 Films has a superb picture quality, remastered and full 1080P, the colours and costumes stand out and the close-ups are vivid and clear. The sound is as it should be, Mono 2.0 tracks in original Mandarin or a clunky English dub for those who like that sort of thing. 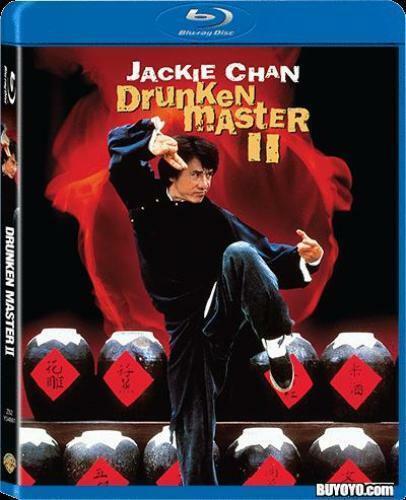 A Great release for a true Shaw Brothers classic.